The Sunda Clouded Leopard is a little known, medium-sized cat with beautiful cloud-like markings across its back, and can only be found on the islands of Borneo and Sumatra. 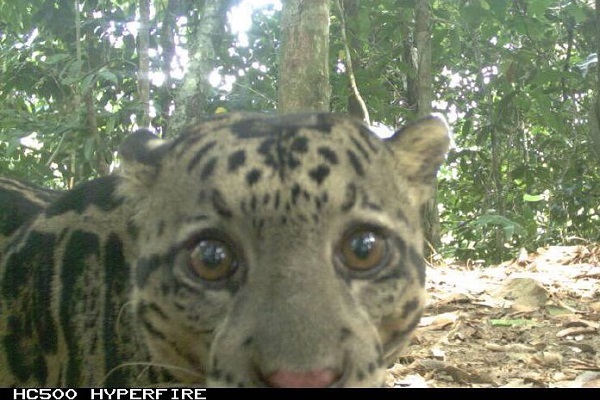 A recent camera-trap survey in the northern state of Sabah in Malaysian Borneo has estimated that there are only 754 Clouded Leopards surviving in this region. The Sunda Clouded Leopard has been classified as Vulnerable by the IUCN Red List, but new information including this report may lead to a new assessment. The previous estimate in 2006 surmised that the population in Sabah was 1,500- 3,200 individuals. The latest research recently published follows a six-year study involving intensive camera trap surveys across eight protected forest areas in Sabah investigating how the species abundance varies across the area and how it has been affected by disturbances such as agriculture and logging. 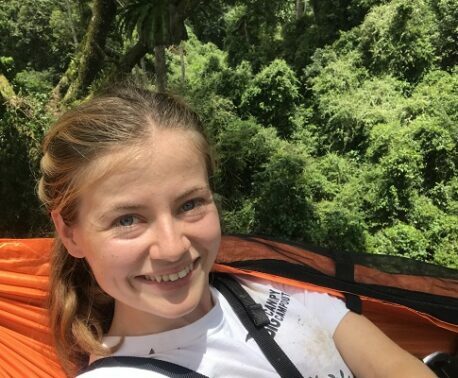 The study was conducted by the University of Oxford’s Wildlife Conservation Unit (WildCRU), the Sabah Wildlife Department and Danau Girang Field Centre. It provides the first scientific evidence that this species has fallen victim to hunting pressure and habitat fragmentation. 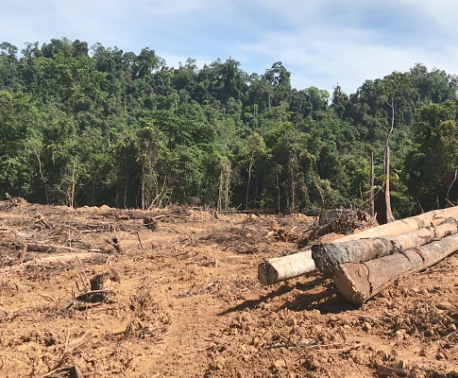 The research noted the species showed some resilience against disturbances such as logging, but as the leopards and their mammal prey rely on forest habitat, conversion of forest to Oil Palm plantations is one of the greatest threats. It also highlighted how good management of selectively logged forests can support the wild population of clouded leopards, as their abundance increases with time after the logging has taken place. The research paper concluded that improved logging practices and stronger anti-poaching patrols would be important steps in this species’ survival. World Land Trust (WLT) works with partner Hutan in the Lower Kinabatangan floodplain, and one of the avenues of WLT’s support is through Keepers of the Wild, a programme which funds the salaries of rangers patrolling project areas to deter poachers. This is increasingly important for the wildlife of Kinabatangan, including the Clouded Leopards. Dr Isabelle Lackman, Co-director of Hutan, explained why the work of these rangers is particularly important in the fragmented landscape of Kinabatangan, “Large-scale industrial agriculture has resulted in the fragmentation of the region's forests, which are now more accessible through a wide system of plantation roads and have thus become a magnet for non-local hunters seeking rare endangered species. The role of the Sabah Wildlife Department and of the Honorary Wildlife Wardens, working closely with the Oil Palm plantations, is therefore crucial to curb this increasing poaching pressure." You could help support the protection of wildlife such as the Clouded Leopard by donating to the Keepers of the Wild appeal, supporting the important work of rangers such as Berjaya Elahan, who patrols the Lower Kinabatangan Wildlife Sanctuary as one of the Honorary Wildlife Wardens mentioned above. Hearn, A. J., Ross, J., Bernard, H., Bakar, S. A., Goossens, B., Hunter, L. T., & Macdonald, D. W. (2017). Responses of Sunda clouded leopard Neofelis diardi population density to anthropogenic disturbance: refining estimates of its conservation status in Sabah. Oryx, 1-11.